If you don't want to be sent email advisories anymore, let me know. I'm gone in July. Dana is an interesting graduate student, from the Czech Republic, I believe. She guards the space outside of my door. She had a tough week, so this announcement probably helped her mood at the end of a semester. 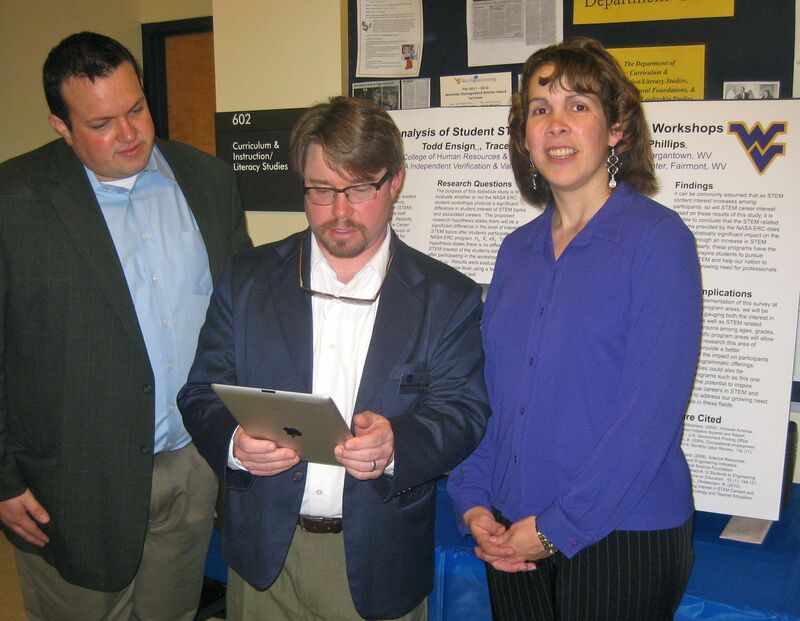 Poster sessions simulate pretty well research dissemination at conferences. They give the participants good opportunities to interact with others. The visual layout of a poster is part art and science. Most have too much text on them, but there are ways to minimize and organize that text. 1. F2F get together (optional): Thursday May 3 – 6.30 pm Panera – debrief, class photo (we have to have this). Let me know if you can make it. 2. TED due end of Monday, April 23 (week 15). These can take whatever time you give them. This is known as Parkinson’s Law. So, if I gave you a month, it would take a month. etc. The tyranny of deadlines. The deadlines are approaching to enroll in the STEM Entrepreneurship Essentials and the Preparing Future Faculty programs. Both programs now have a deadline of April 20. Here’s a poem, “Believing is Seeing” – something different – to visualize and ponder. Some learning takes a long time to sink in. Some ideas take years to “click.” Some “learning outcomes” can’t be assessed well, as a result, as many types of learning take time to develop, much longer than a 15-week course. Valuing poetry would be one of these outcomes. Any attitude where change is involved can take time would be another. Sometimes just making sense of concepts like a mathematical function and especially the idea of limits from calculus. Philosophical ideas sometimes don’t make sense until you have some live behind you. Sometimes people learn stuff from a course, workshop, an experience that you didn’t plan on. These are known as “incidental learning” outcomes. Playground activity is a site where kids learn quite a lot. In my ID course at the end I always ask an obvious question: what did you learn? Sometimes I learn from you what you learned. The above page link is from a site called “Best Thinking.” I’ve got a paper on the site somewhere about another Big Idea, an extension of Thursday. April 2: TED critique, Your Idea, 5% of grade. April 23: TED posted, 15% of grade. HIT THIS DEADLINE. Week of April 23: Peer Review TEDs posted by others 5% of grade. All work should be posted by April 30, as I’ll be posting grades on the 30th. F2F: First week in May: F2F Get Together? Is this possible? Sometimes Free can be good. And sometimes posting something that’s Visual and Fun is OK, too. 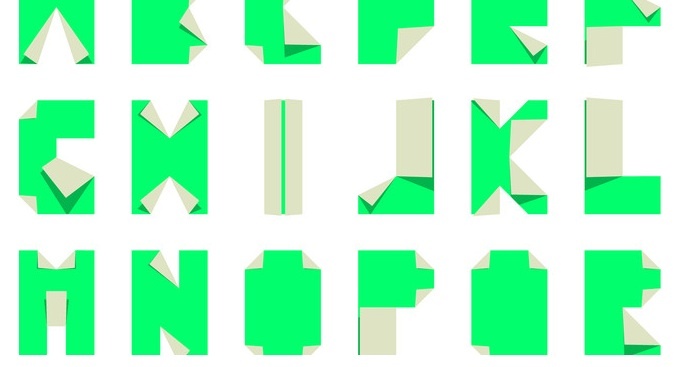 Check out the free origami typeface page. I can’t imagine that Sonya will be able to resist this. In this course and one of my earlier EDP courses, Cognition in Social Contexts, rather than asking for a Face Photo and an Introduction I ask everyone to send me a picture of their desk. I believe that this image provides clues in how one thinks and works, as well as what one values. Is one of my favorite sites for Desks as introductions to interesting people. One of my interests is studying how people do what they do, development of expertise, and in particular the thinking tools they have developed in their lives. One feature of the old Visual Literacy course was having people develop a visual-book of their thinking tools. I might do this task as well as in the above Cognition course, if I teach it again. I could never get many people to take it. It’s probably the hardest course I have taught, both in subject matter and getting people to read and think.